Don't forget to collect your badges from the sidebar, and we look forward to seeing you back here at 12 Noon for our new challenge. 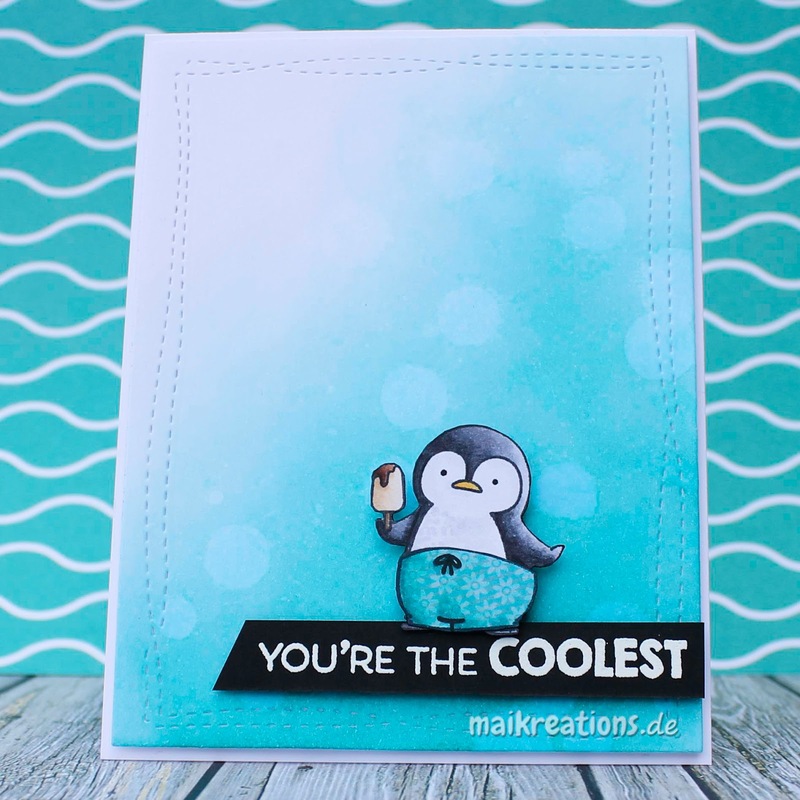 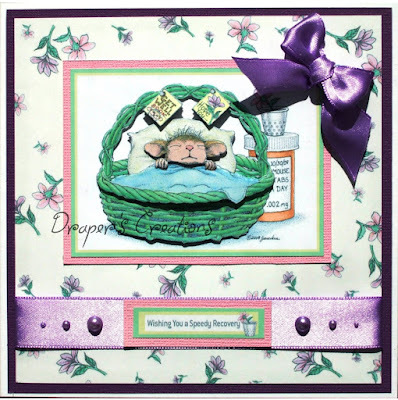 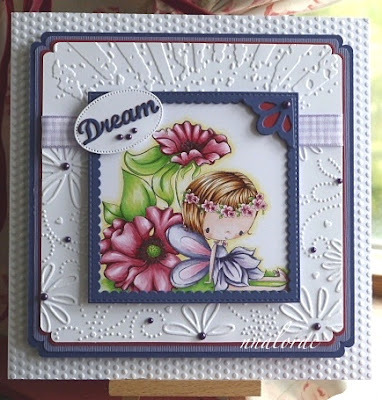 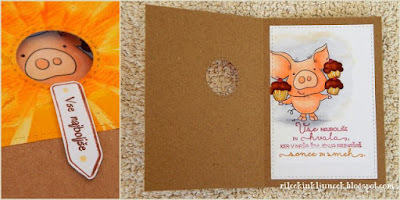 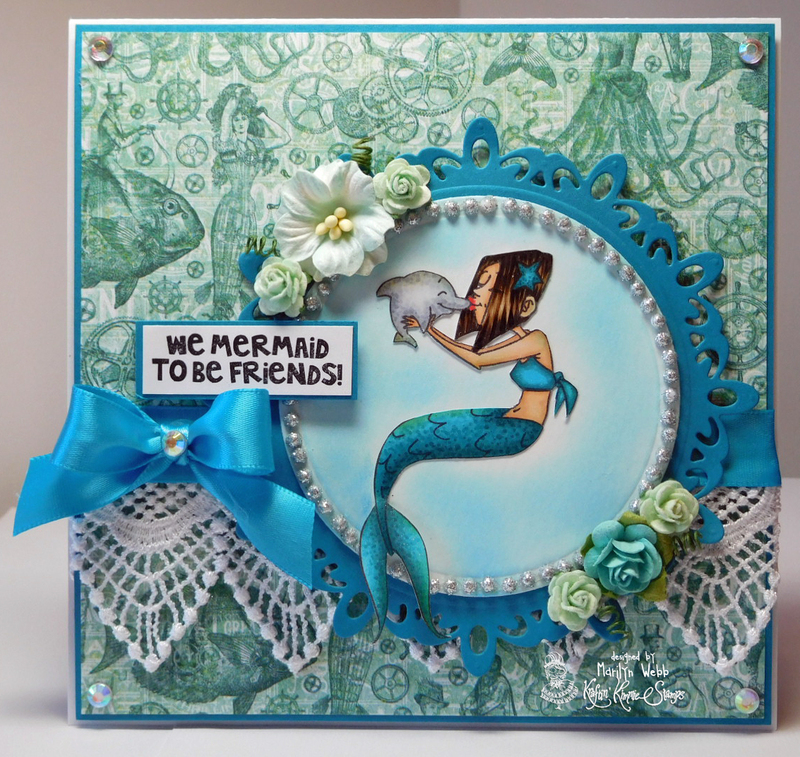 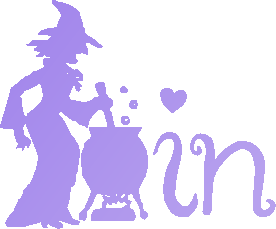 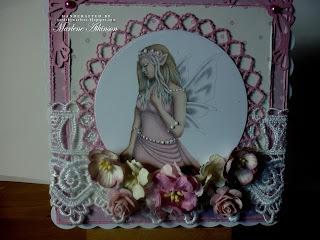 Maike is hosting our Stitching, Faux or Real challenge. Your stitching can be embroidery, hand stitching, machine stitching, drawn or stamped stitching or even die cuts that create stitched edges. 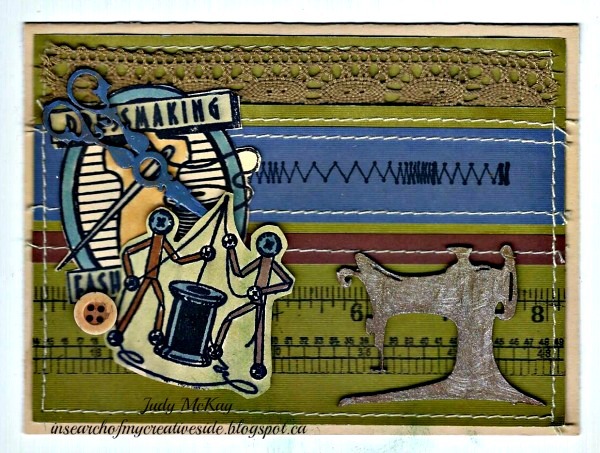 So, real stitching, and nothing else from me! 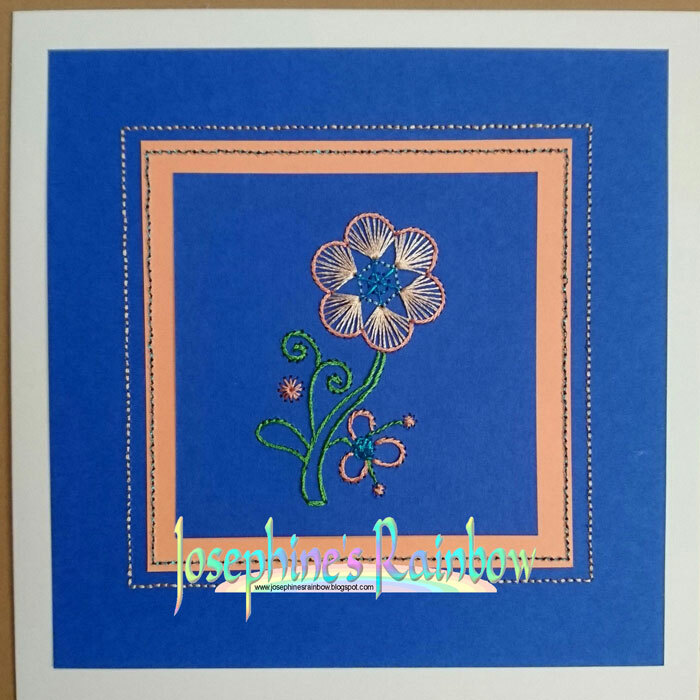 The flower pattern is from a book I've had for a while and I really like how it turned out. 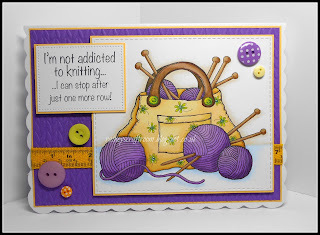 My card is a combination of real and faux stitches. 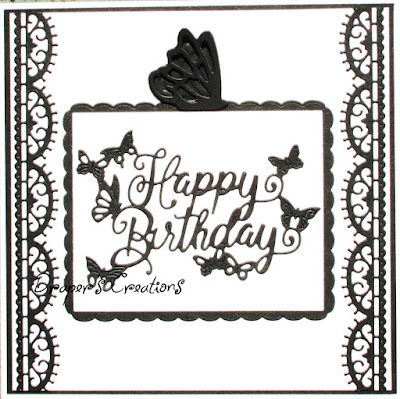 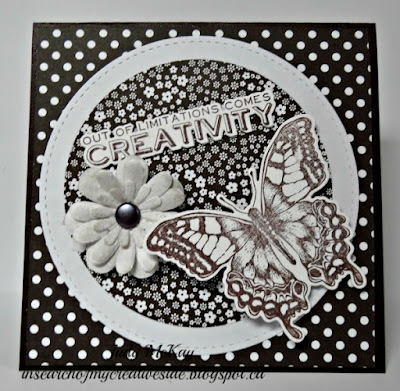 The rubber stamped images are from Tim Holtz and Class Act Rubber stamps. 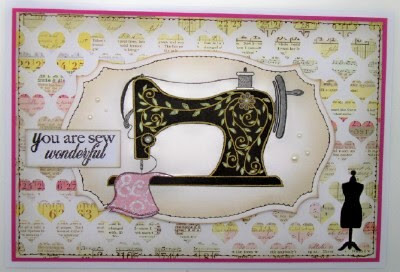 The sewing machine and scissors are chipboard by Southern Ridge Trading Company. This card is layered with my own Masterboard papers and stamped faux stitching. 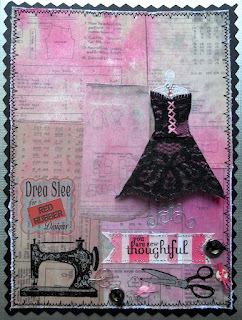 The stamps are by Crescendoh and the sentiment dies are Tim Holtz then finished off with small pearls. 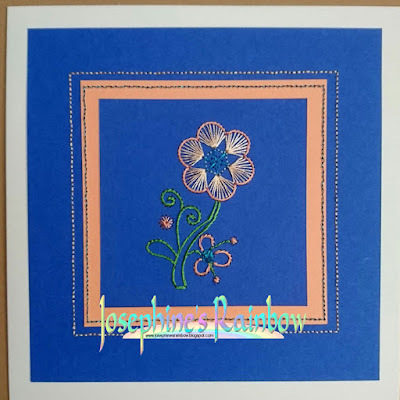 I used across stitch design from a very old Cross Stitcher magazine and placed it inside a mini aperture card which I then attached to a larger card. The papers used on the larger card are printed using volume 2 of redoute's 'Les Belles Fleurs' CD ROM. 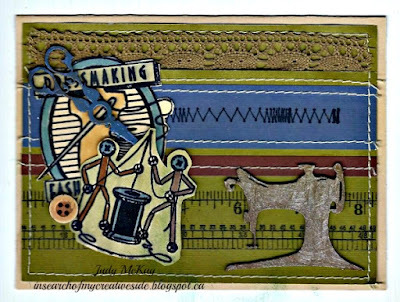 My first attempt at embroidery on paper. 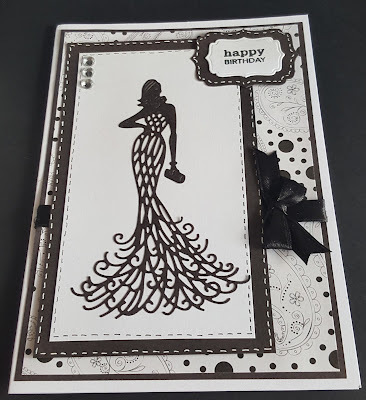 There are mistakes but I enjoyed getting out of my comfort zone here. 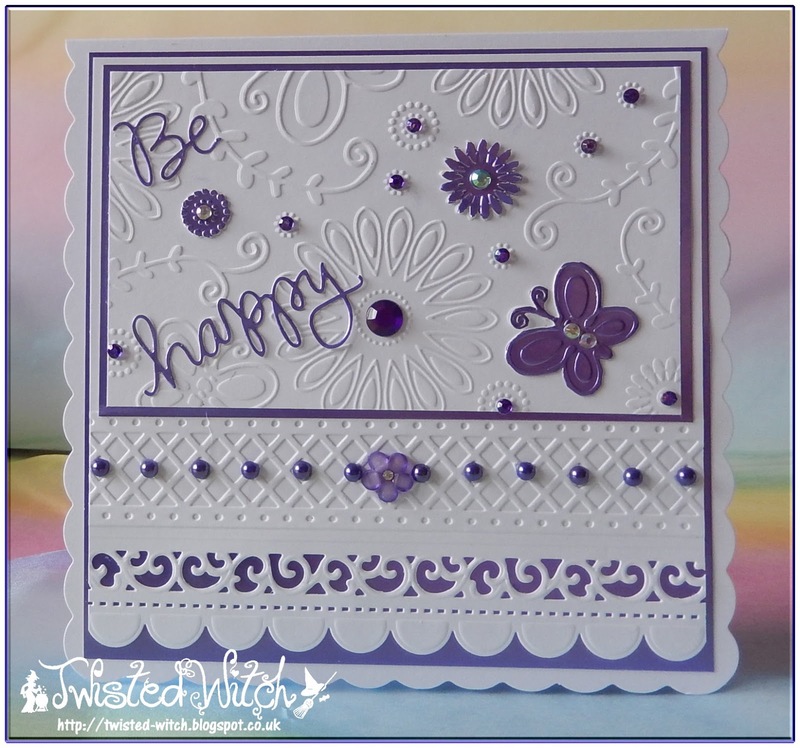 Just added a sentiment and bling to finish. 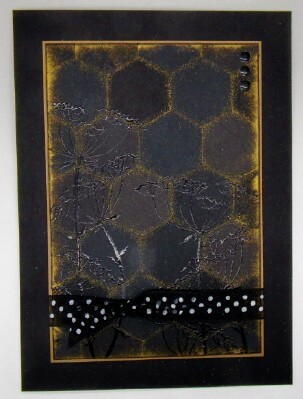 I have used faux stitching on my card which was made using Woodware stamps. 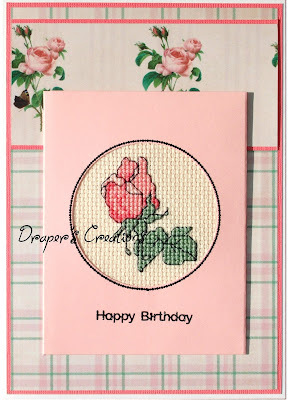 Real stitching was used on my card. 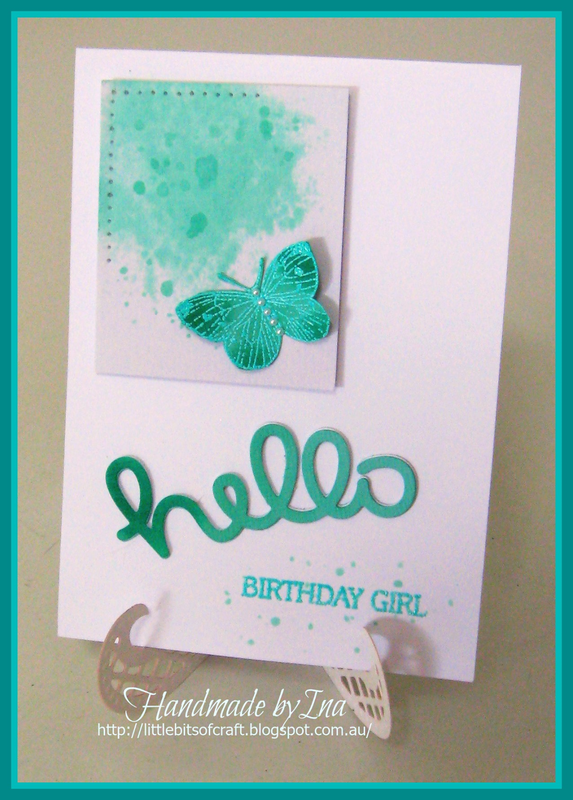 I wrote "hi" in pencil on lightweight card stock, then used my paper piercer to create the holes for the stitches. 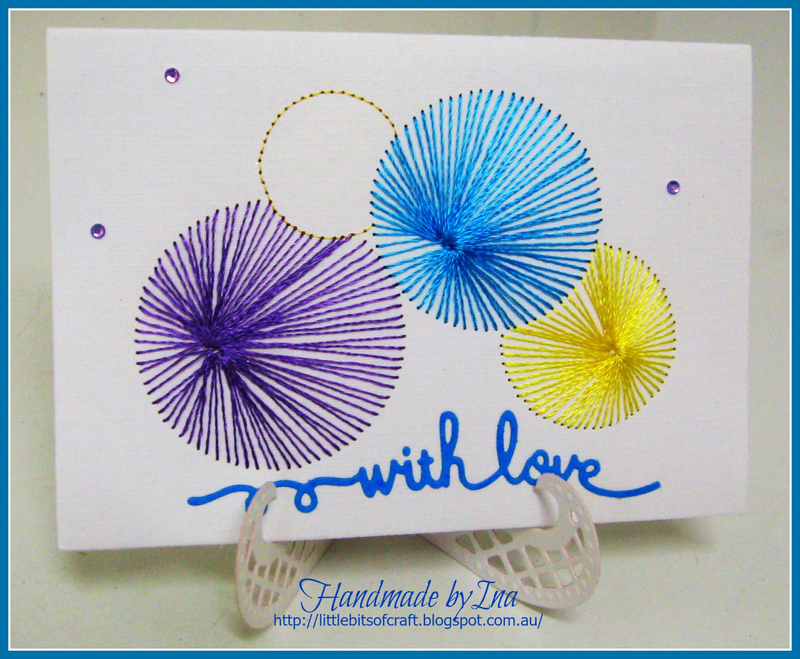 Blue embroidery floss for stitching and a pearl for the finishing touch to the sentiment. 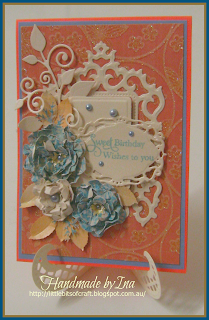 The background is embossed vellum. A fun challenge! 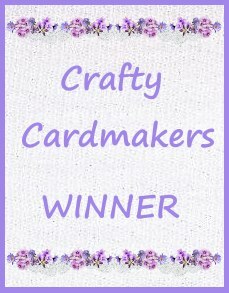 My sewing machine is buried under a pile of other things right now, so I reverted to the tried and tested faux stitching for my project! 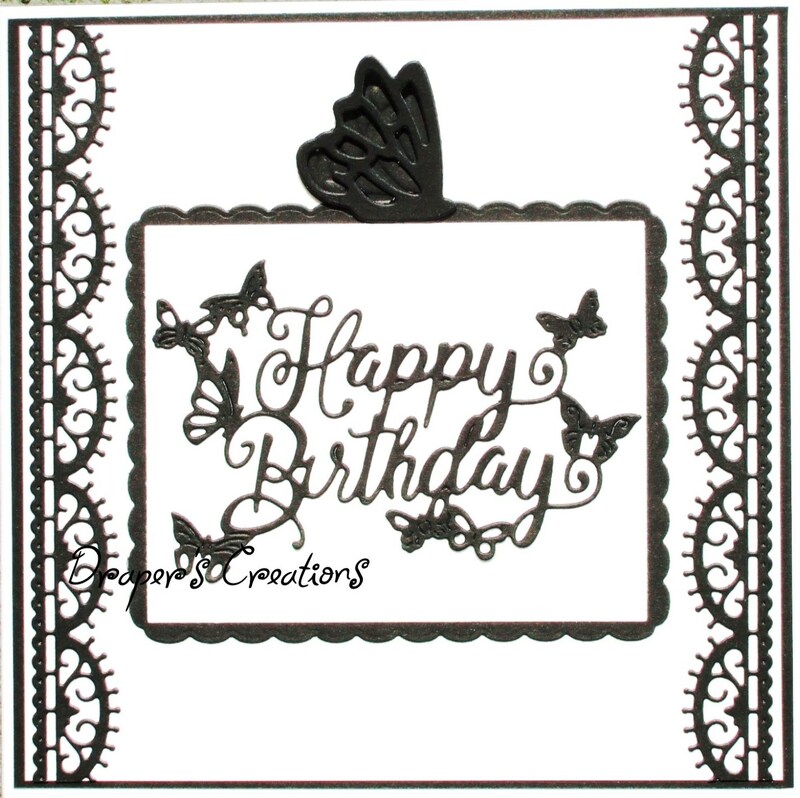 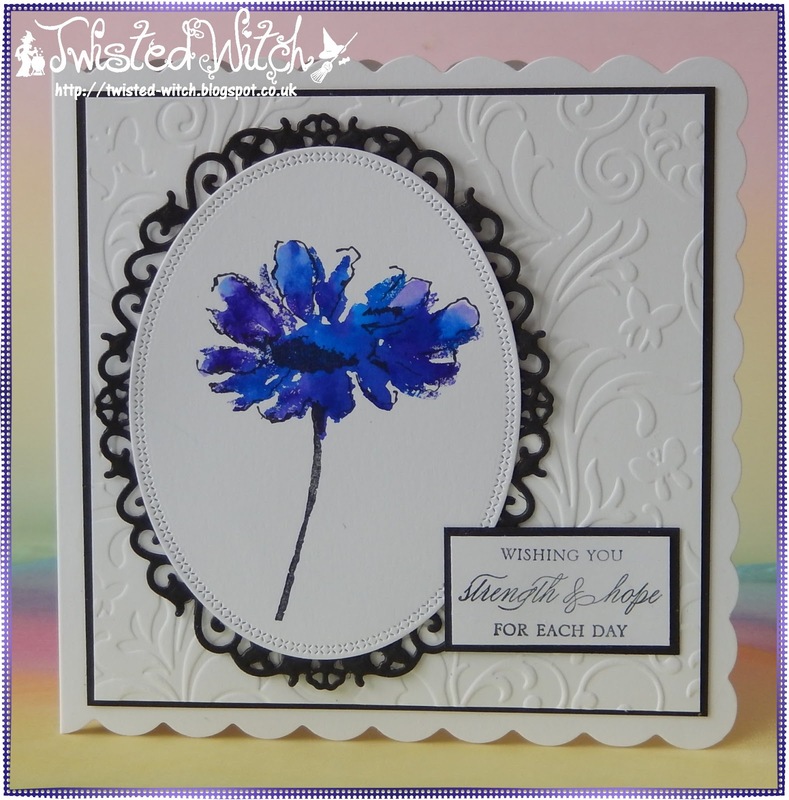 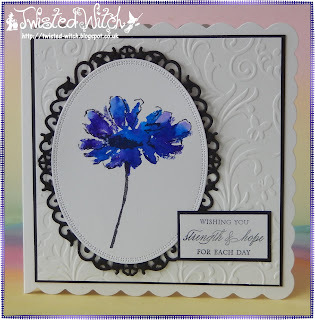 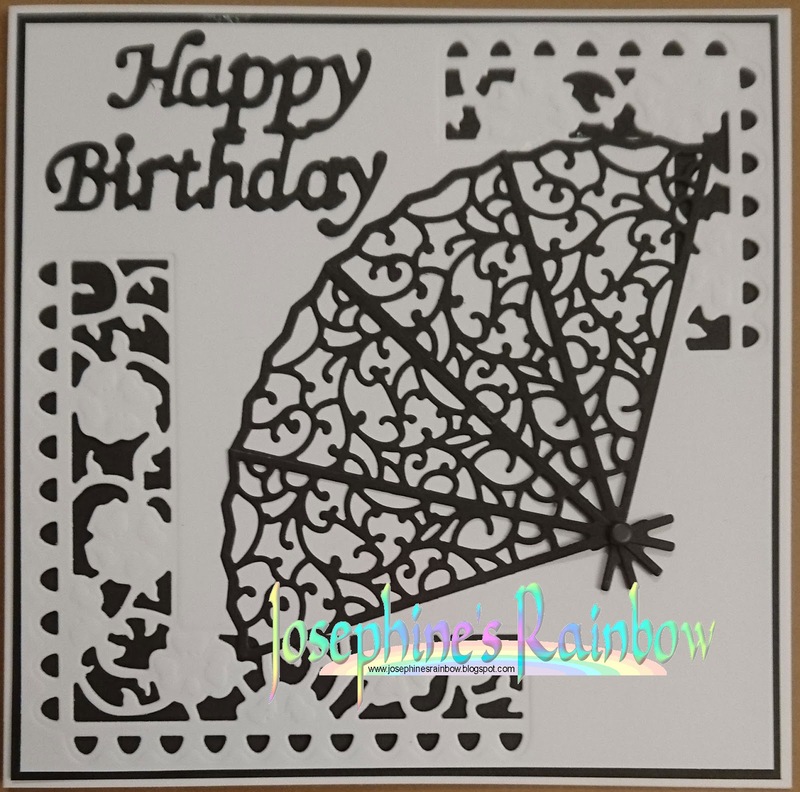 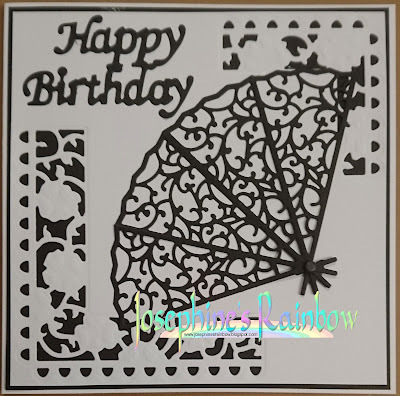 My monochrome card uses paper from my stash, and a tattered lace diecut. We are looking forward to seeing all your lovely stitching variations. 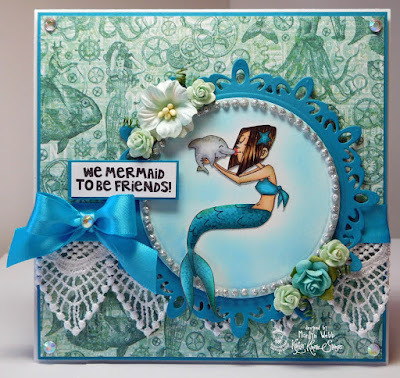 Bec is hosting our Pearls or Gems Challenge. 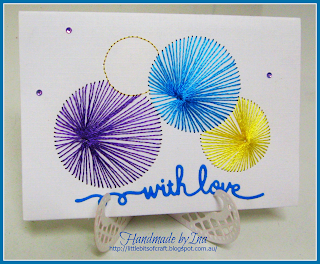 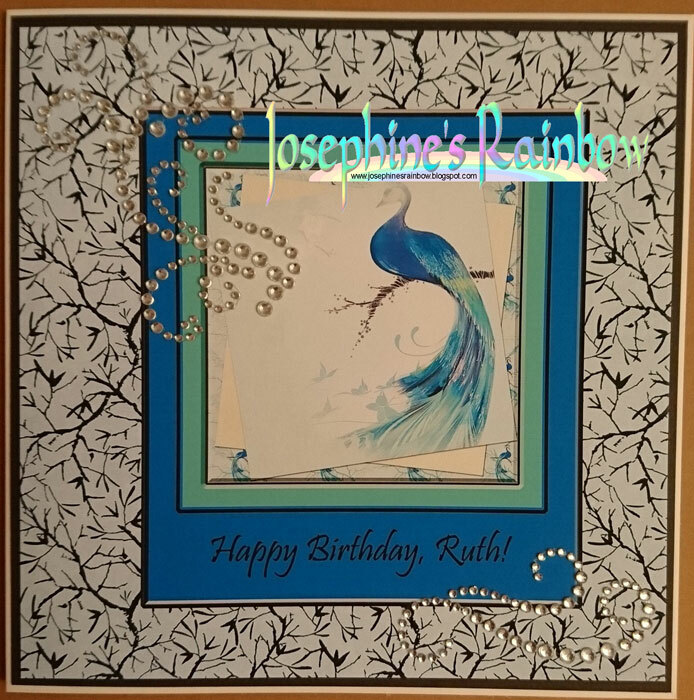 I have used some beautiful shimmery pearl droplets on this card. 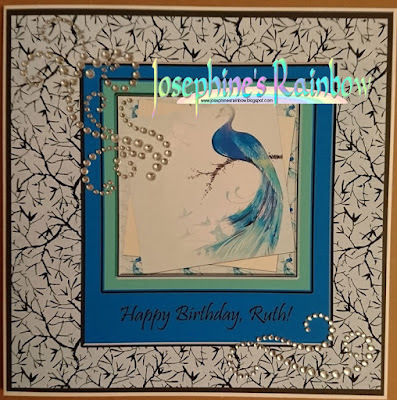 I've used an image and paper from the Crafter's Companion Kimono collection along with some gem flourishes to make this card for my sister. 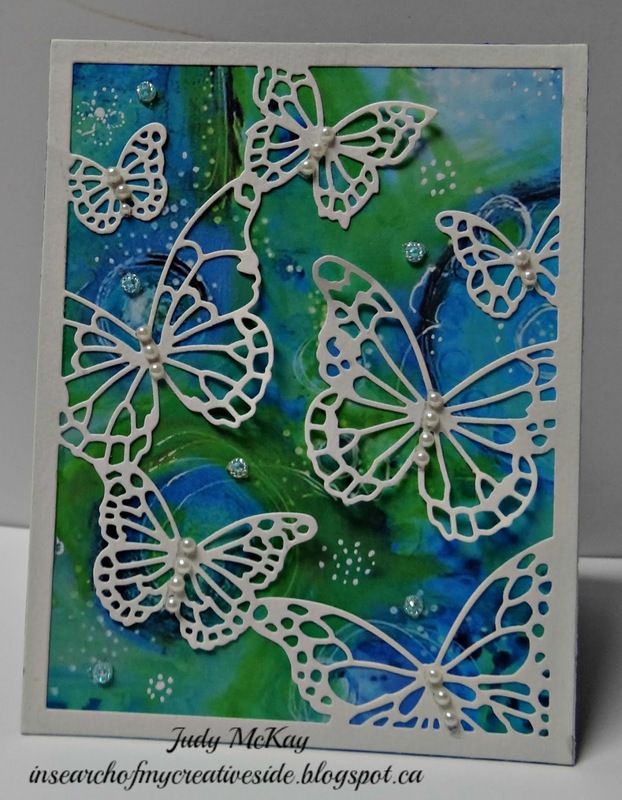 I used a butterfly die from Memory Box called floating butterflies for my card. 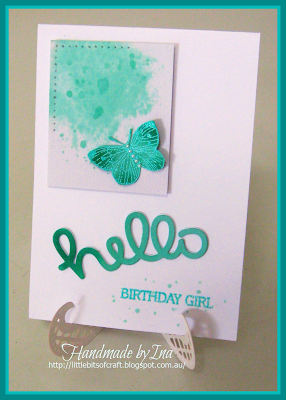 Behind the die I used one of my Gelli Plate prints made in my favourite colours of greens and blues. 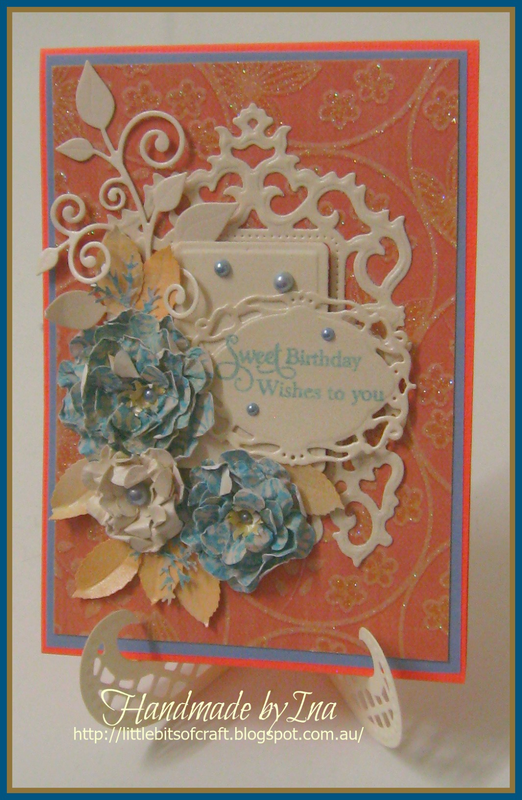 To complete the card I added some pearls and gems for sparkle. 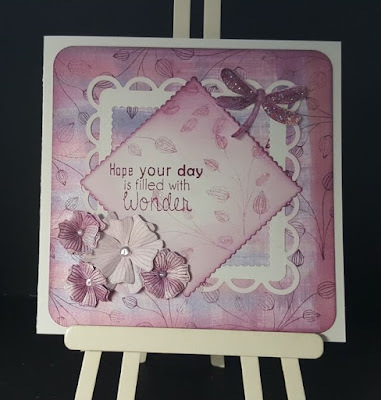 I used different dies and foam squares to add dimensionand finished with sprinkles of pearls. 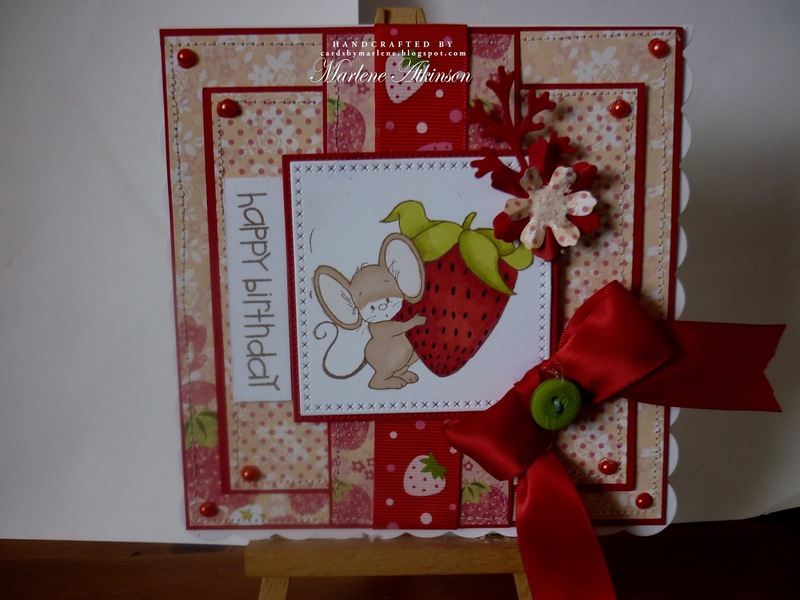 I used paper and decoupage from the first House Mouse Designs project book and added graduated pearls to the band of ribbon. I had a blast making this purse. 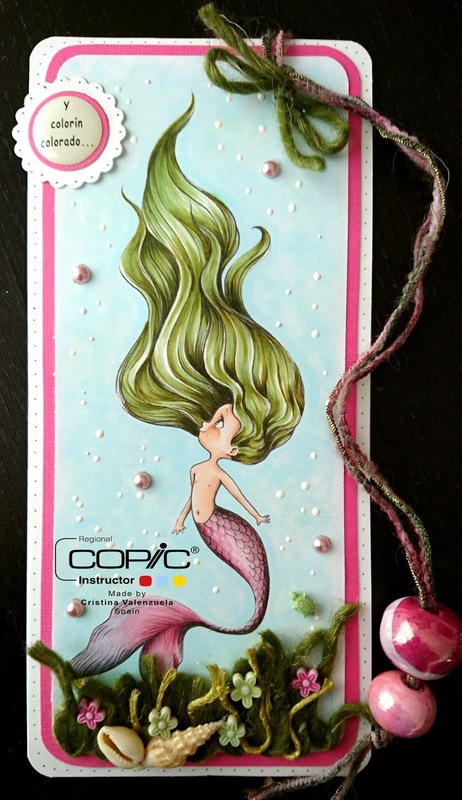 I used pearls on the straps, tag and the clasp. 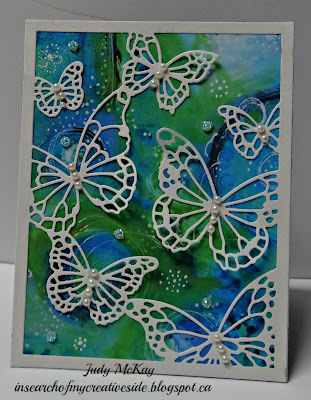 I'm using up some left over Masterboard for this card andSpellbinders butterflies finished with pearl brads. 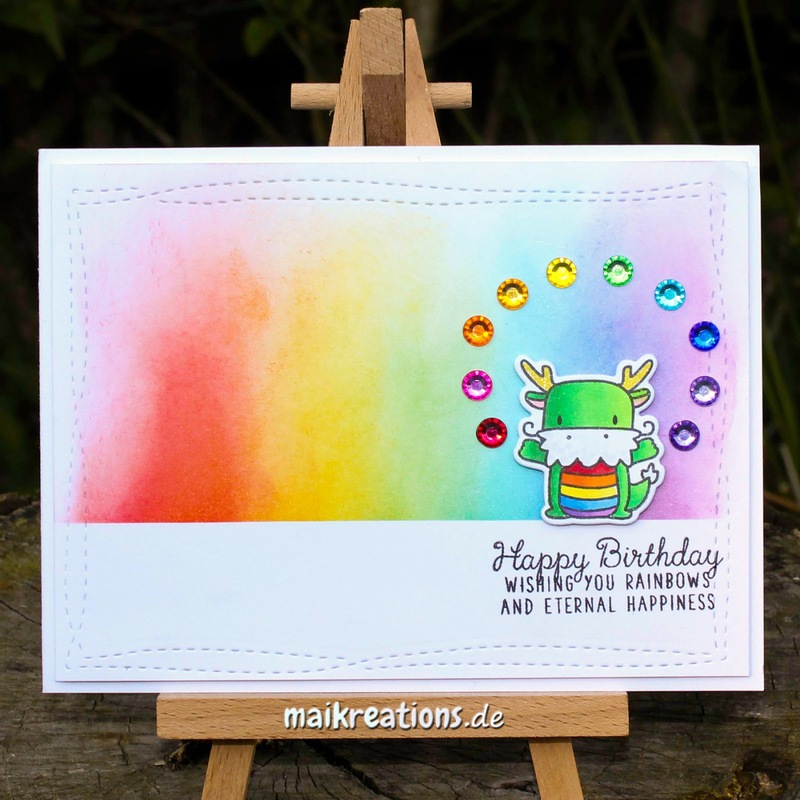 I coloured some clear gems, so that they now resemble all the colours of the rainbow.